A shaking, skinny German Shepherd with blisters all over his body arrived on the front doorstep of Melya Kaplan’s home in 1991. She thought he had mange and immediately took him to a veterinarian. It turned out that his blebby skin was the result of battery acid used in dog fighting that she was told frequently took place in Venice at that time. Outraged by evidence of neglect and mistreatment of animals, Melya contacted Councilwoman Ruth Galanter’s office where the situation was found to have merit on a legislative basis. Two years later, with the help of staff member Jim Bickhart, Melya and several of her dog-loving friends were responsible for the voter-approved City Prop 5 which changed the role of the City Board of Animal Regulation Commissioners from advisory to a board that runs the day-to-day operations of the City Department of Animal Regulations. Later on, while talking to officers from the LAPD Beach Detail, Melya came to realize that there were also abuse issues going on around the boardwalk. She approached Pacific Area Commanding Officer Capt. David Doan with a resume of an officer from the Broward County Florida Sheriff’s Department who was heading the country’s only law-enforcement detail focusing on investigation of animal abuse and pursuing prosecution of those who prey on pets. With help from Bob Ferber from the City Attorney’s office and John Lee from Mayor Richard Riordan’s office and after the funds were raised for transportation and lodging, Sgt. Sherry Schlueter came to Venice for a big community meeting. “We trained 25 cops that day,” says Melya. That was only the beginning. Melya, Bob Ferber, along with Sgt. Andrew Smith from Pacific, decided to train the entire LAPD because Melya felt “this has to happen.” Next, came the training for 55 officers. Then “the whole Rampart thing occurred and we were delayed,” she says. The training hold up did not deter Melya from her activism. She recognized the influx of dogs on the boardwalk, especially on Saturdays and Sundays. “I’d open my door and gang guys with these poor pit bulls with huge chains were right in front of my face,” she says. The police couldn’t do anything about the situation because there was no law against it. So, Melya took it upon herself to act on their behalf. “It wasn’t fair to the officers to be overloaded with crazy people and then have to deal with the pit bulls,” she says. Working with Councilwoman Galanter and Councilwoman Cindy Misicowski, an ordinance was passed prohibiting dogs on the boardwalk on weekends and holidays from Memorial Day to Labor Day. The ordinance has since been amended to include the area between Pacific Ave. and the boardwalk and extended to Halloween. The current hours are from 11:00 am to 8:00 pm. Now Councilman Bill Rosendahl’s office is helping to solve the problem of people saying that they can’t see the signs by developing new signage. 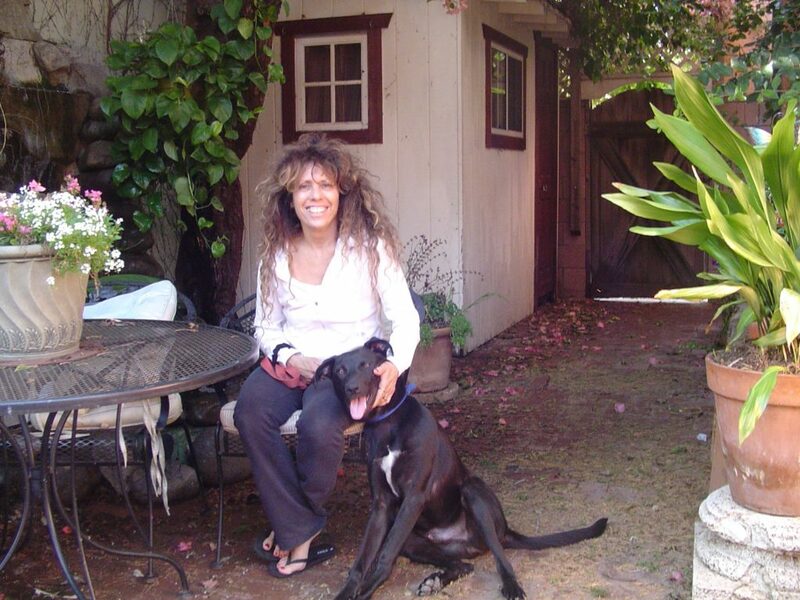 In 1999, Melya started the Venice Animal Alliance to empower and unify the community to constructively deal with all animal issues. In 2004, the name was changed to Voice for the Animals because the work of the group had evolved to being citywide. Now covering citywide animal issues, it seemed the right time to have an Animal Cruelty Task Force. Again, with Bob Ferber, Jim Bickhart and others, it became a reality. Melya credits Councilman Tony Cardenas for bringing it to the City Council, LAPD Chief Bill Bratton, and Asst. Chief Sharon Papa who are big animal lovers and all the commanding officers at LAPD who helped this go forward including Lt. Anthony Lomedico who is one of the heads of the task force and keeps it going on a daily basis. Melya also helped start another animal task force. The Feline Task Force is specifically for feral cats. While visiting the Flower Mart downtown, she observed a man coughing. She asked about this problem and he replied that it was from spray fumes of a poison used three times a week to kill rats. Melya went to the owner of one part of the mart with an idea to use cats for the eradication. Of course, the owner was skeptical and she said, “Give me three months.” Three months later, the owner of the other side wanted cats too. That was 1999. Cats are currently being placed in police divisions for this purpose. Rats were eating criminal files at Foothill division when the commanding officer there called Melya and said, “How fast can you get me the cats?” Southeast division already has some and Central division and Parker Center will be next. Now there are requests from all over the city. The important thing to remember is that they have to be feral. They do not want to be touched. That’s why they are used. Domesticated cats will be stolen. Be sure to call Voice for the Animals for feline assistance if you have a building with rat problems. The cats come from shelters so you will help save lives. “They get euthanized immediately because no one wants feral cats,” says Melya. Melya has a lot of experience working within the system to produce results for her passionate animal rights and protection issues. She feels that real change occurs when we do our best to educate and make friends. If you’ve ever been to an animal shelter, you will agree with Melya when she pleads with animal owners not to breed, but to neuter or spay. “If you think it’s cute to breed, then go to a shelter and watch them put down totally adaptable animals,” she says. Voice for the Animals is always looking for contributions and volunteers. A great way to help and to have fun at the same time is by supporting their annual Stand Up for the Animals Fundraiser at the Improv Comedy Club. Check out www.vftafoundation.org.